The Lyons Housing Authority was formed by the City of Lyons in August 1968 for the purpose of providing safe, sanitary, decent, and affordable housing for the community. Lyons Housing Authority is a public housing program that provides subsidized housing to families and individuals that meet United States Department of Housing and Urban Development (HUD) guildelines. The Mission of the Lyons Housing Authority is to provide housing that is decent, safe, affordable and free from discrimination for those that are low income, very low income and extremely low income. Lyons Housing Authority provides a total of 89 units to the community. 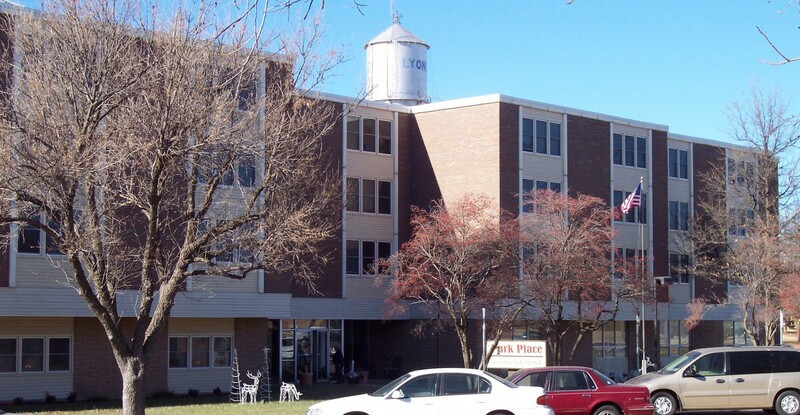 Lyons Housing Authority is accepting applications for residence at Park Place Apartments, which is located one block southeast of the water tower and directly south of Workman Park. Rental assistance is available for those who qualify. Applicants are drawn from a waiting list on a date and time basis. Apartments are rented according to family composition with one- and two-bedroom units available. A total of 73 apartments are available in the high-rise. The federal government establishes income limits on an annual basis and applicants must meet the Low-to-Moderate income requirements. Rent is then based on income with a minimum and maximum rent level, which is determined by the apartment size. With HUD approval, over-income applicants may qualify with requirements. Friendship Meals and Lyons Senior Center use our facilities; thus, tenants are encouraged to take advantage of the amenities offered by their organizations. Call or stop by the office to apply and for a no-obligation tour. Located on East Second Street and North Purdy Avenue, Kingswood Housing is operated similar to Park Place Apartments except that Kingswood consists of eight (8) duplexes with four 1-bedroom, eight 2-bedroom and four 3-bedroom apartments. Apartment size is determined by the family composition. Call today for a no-obligation tour. One pet allowed per unit per pet policy. Lyons Housing Authority Leases to low-income families per the income guidelines shown above. LHA can Lease to over-income person(s) with approval from HUD. Please call, (620) 257-5241, for more information. Annual gross income is within the eligible limits. Priotirty given to families that qualify for local working preference, or are elderly or disabled. Not owing money to landlords, other housing authority’s, utility company, child support and/or have recent drug charges, violent criminal charges, or a register sexual predator.